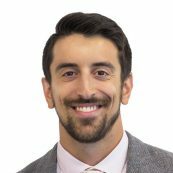 Nicholas Gioioso is a Program Coordinator at PYXERA Global where he assists in the management and implementation of Global Pro Bono projects around the world but with a focus on Latin America. Prior to joining PYXERA Global, Nicholas worked as a Trading Assistant for the Corporate and Emerging Market desks within the Fixed Income & Derivatives department at Morgan Stanley. As a recipient of a Fulbright Teaching grant for the 2012-2013 school year, he taught in two business high schools in the 11th and 13th districts of Vienna, Austria. Nicholas is a 2012 graduate of Washington & Lee University in Lexington, VA with degrees in Economics, Spanish Literature and German Literature.